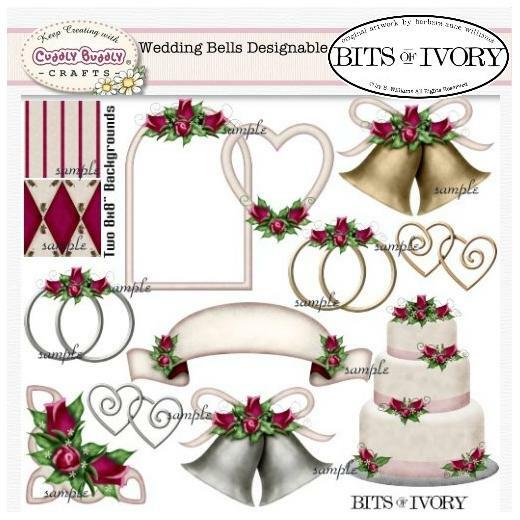 Wedding bells, hearts, roses, rings and a wedding cake perfect for your card-making, candy-wrapping, paper-crafting and scrapbooking projects can be found in this clipart set by Barbara Anne Williams. This set is ideal for many other project themes as well - Valentine's Day, Romance, Roses! Images are in 300 dpi .png format for high print quality.